Not available for this event. 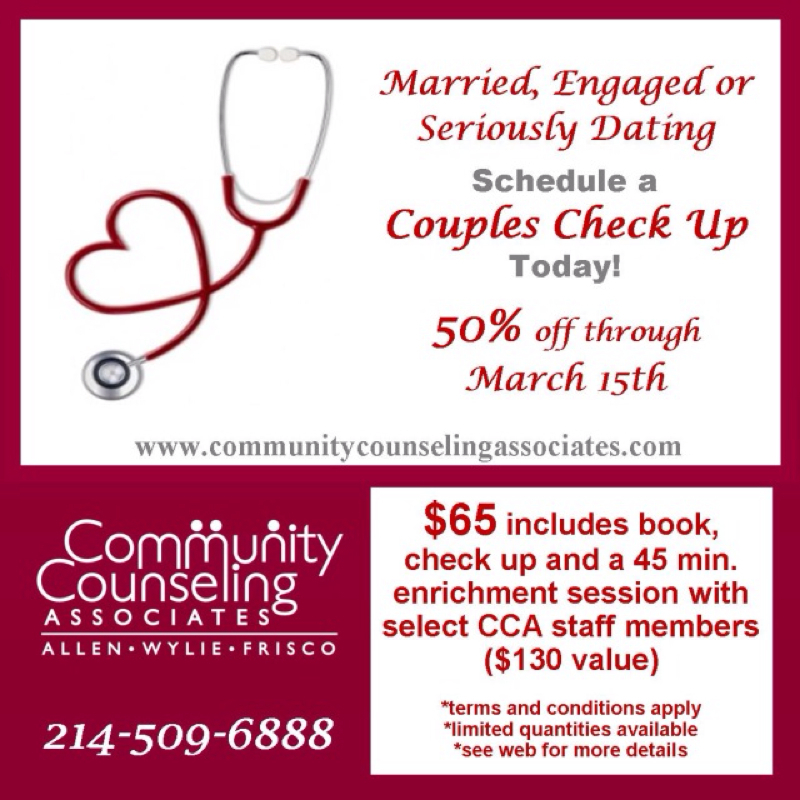 CCA has counselors available to begin the process with couples or families today. Call us at 214-509-6888. 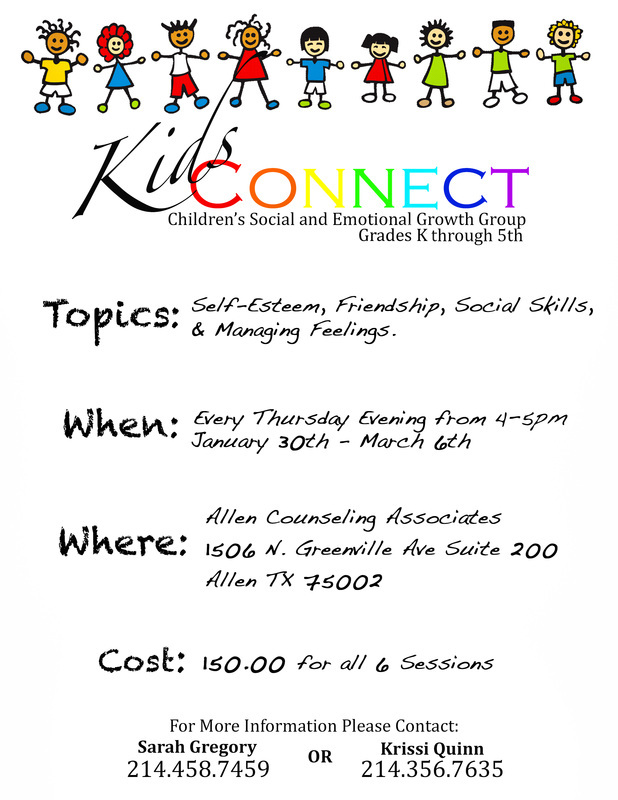 We also plan to offer our own workshop this spring in Collin County. If interested, please click below. Please Vote Now for Community Counseling Associates as Best Therapy Center! We are only one vote ahead and need your help!! Living Magazine is collecting votes for its Best Of 2014 readers' choice awards. We were selected last year and want to continue tradition. As you know, the staff at Community Counseling Associates have been providing quality, solution focused counseling to Allen and it's surrounding areas for over 10 years at below average rates. We would really appreciate your recognition of our community commitment and involvement by taking just a moment to vote for us as Best Therapy Center. To vote, simply click the button below and fill out your contact information. Then, after clicking "next" to get to the "Who's the Best in Health Care?" page, type Community Counseling Associates into the Best Therapy Center box. 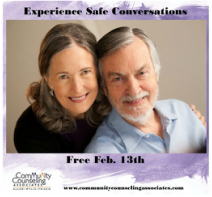 Sign up today to receive invaluable training to empower you to assist couples in repairing and strengthening their relationships. This training is open to facilitators that have a minimum of a Master's Degree in Counseling (or related field) or Professional Ministers. Fee includes snacks, lunch, and CEU's for LPC's. Join our Clinical Director, Michelle Nietert, LPC-S, and community leaders throughout Collin County on Saturday, April 12th from 9 am-12 pm at Collin College. See our flyer for more details. If you are part of a community organization, we would appreciate your joining us in spreading the word. Click here for flyer. Register at cc-sac.org. For more details or to purchase yours today! Limited time only and restrictions apply. 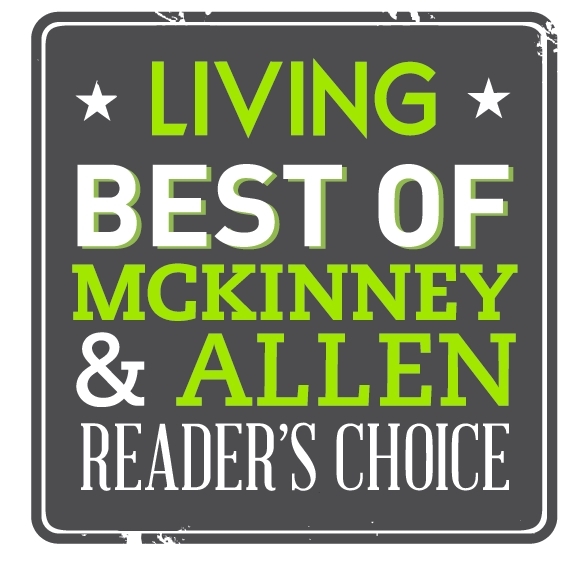 Visit http://livingmagazine.net/best-of-mckinney. After giving your name and email address, scroll to the Best in Health Care section (we had select all the text and boxes on the page to find the "next" button). In the first couple of choices is Best Counselor/Therapist. Please place "Community Counseling Associates" in the blank area. If you own a business and are participating, we'll be happy to return the favor. 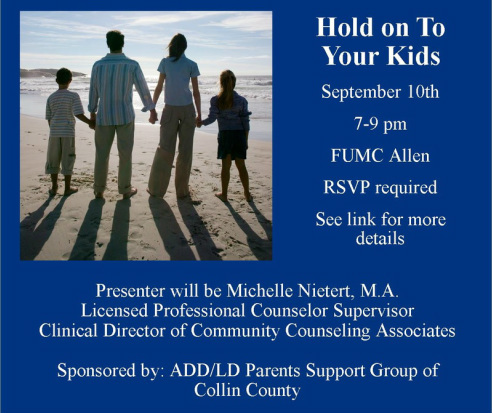 Thanks for supporting Community Counseling Associates in Allen, Wylie, and Melissa! The deadline has been extended to April 19th.